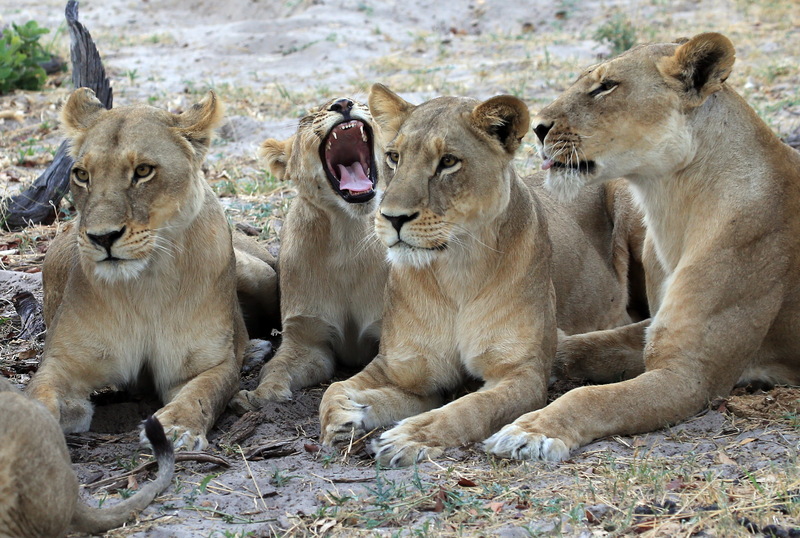 The Rise of the Matriarch expedition saw an all-women team of eco-warriors visiting women-headed conservation initiatives in four countries. 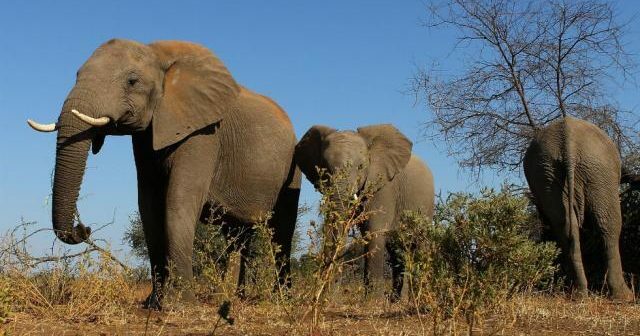 One of the highlights for the team was interacting with rescued elephants at the Wild Is Life sanctuary in Harare, Zimbabwe. 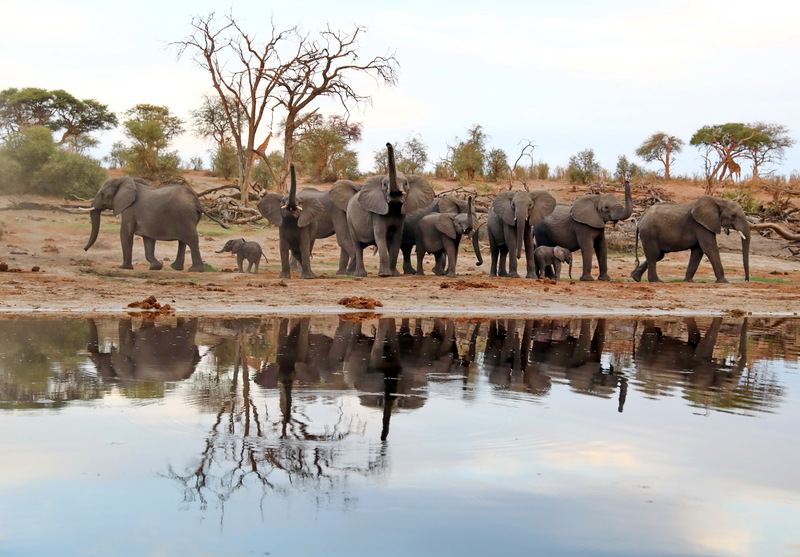 However the African Elephant Status Report (AESR) estimates Botswana’s elephant population to be 131,626 individuals migrating across an area of 228,073 square kilometres. 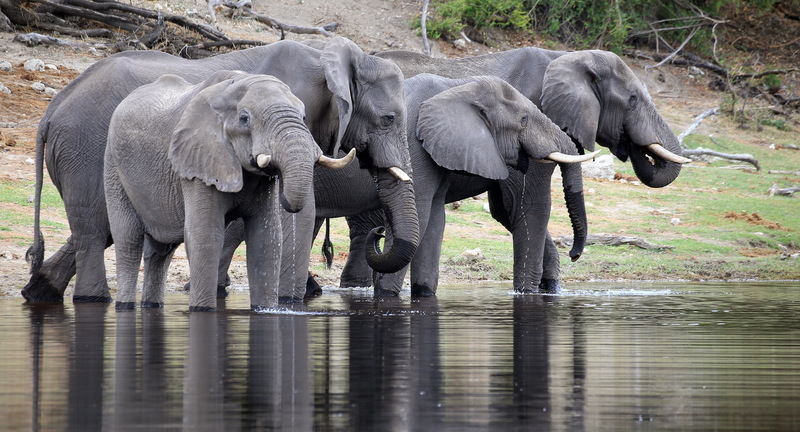 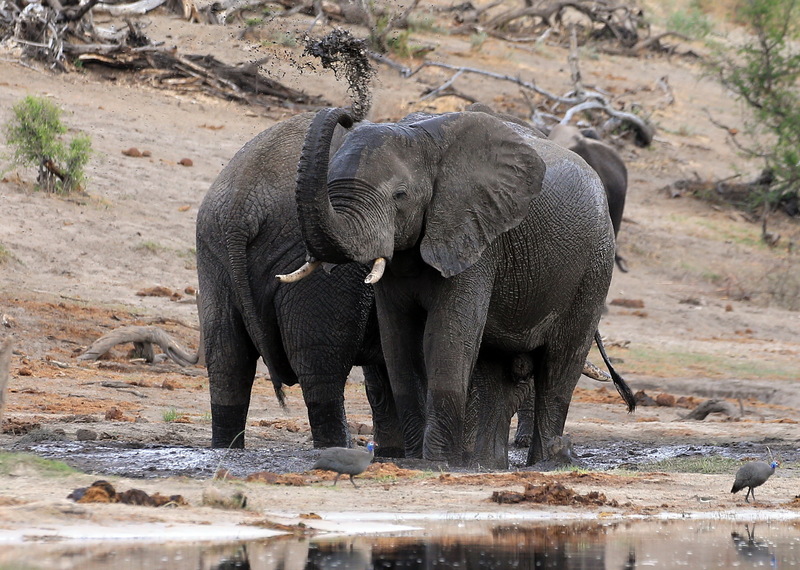 The vast majority of these elephants occur in the northern region that includes Chobe, Moremi, and the Okavango Delta. 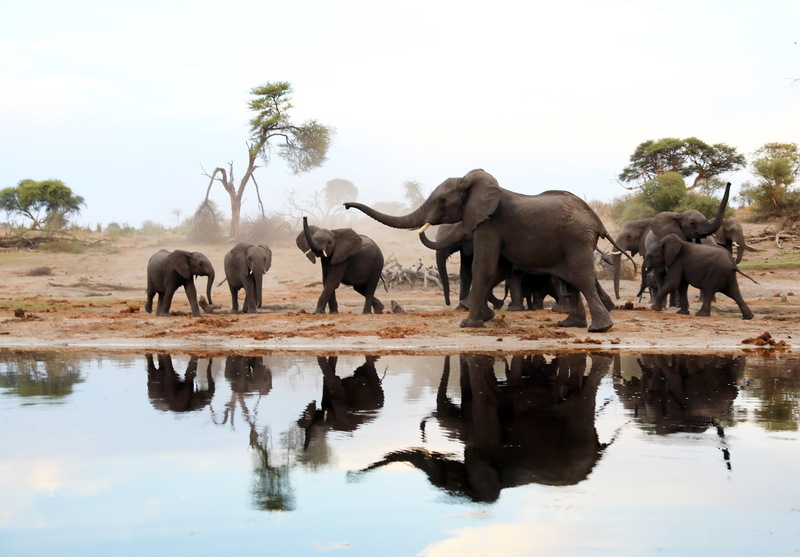 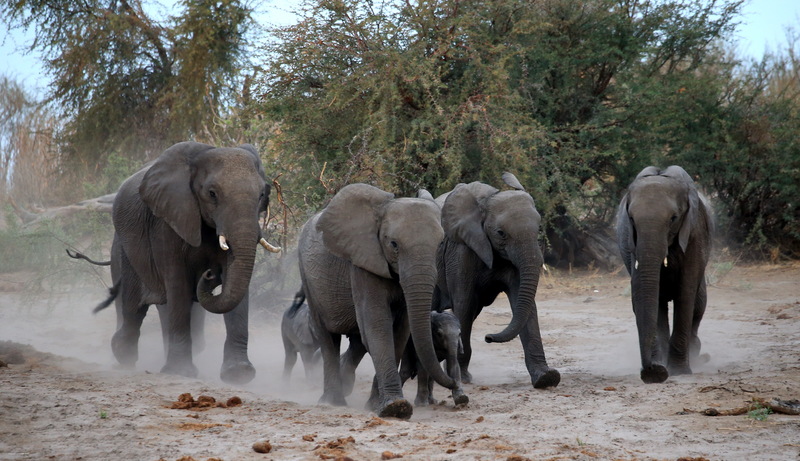 One of the reasons why there is disagreement over Botswana’s elephant population size is the fact that these animals form part of one large freely migrating population of an estimated 216,000 individuals. 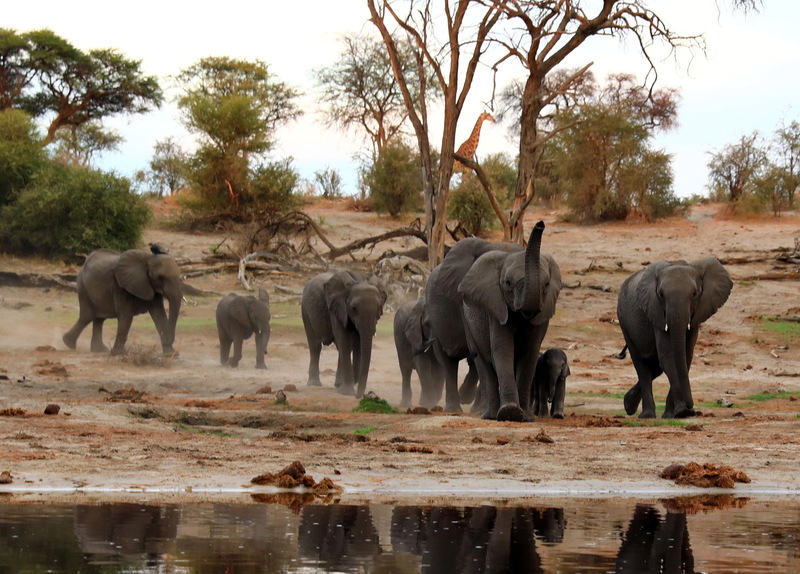 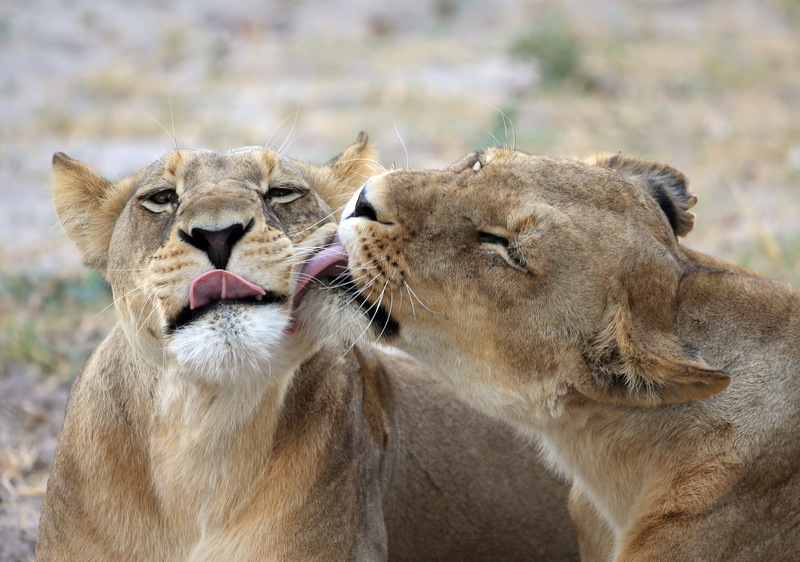 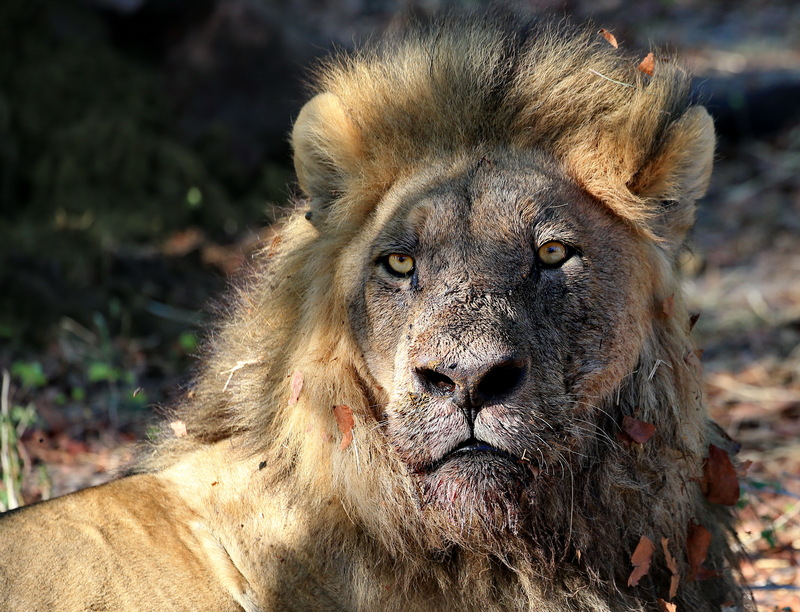 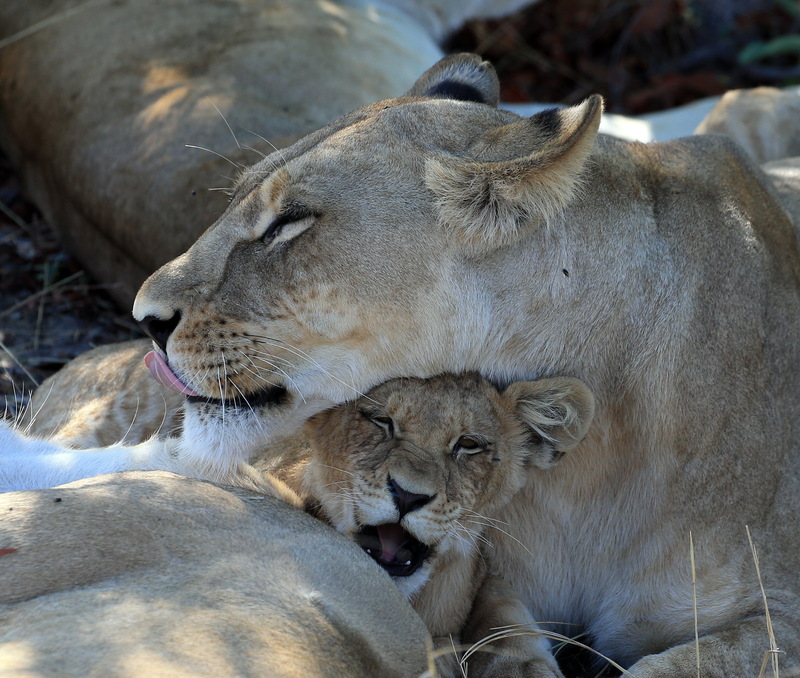 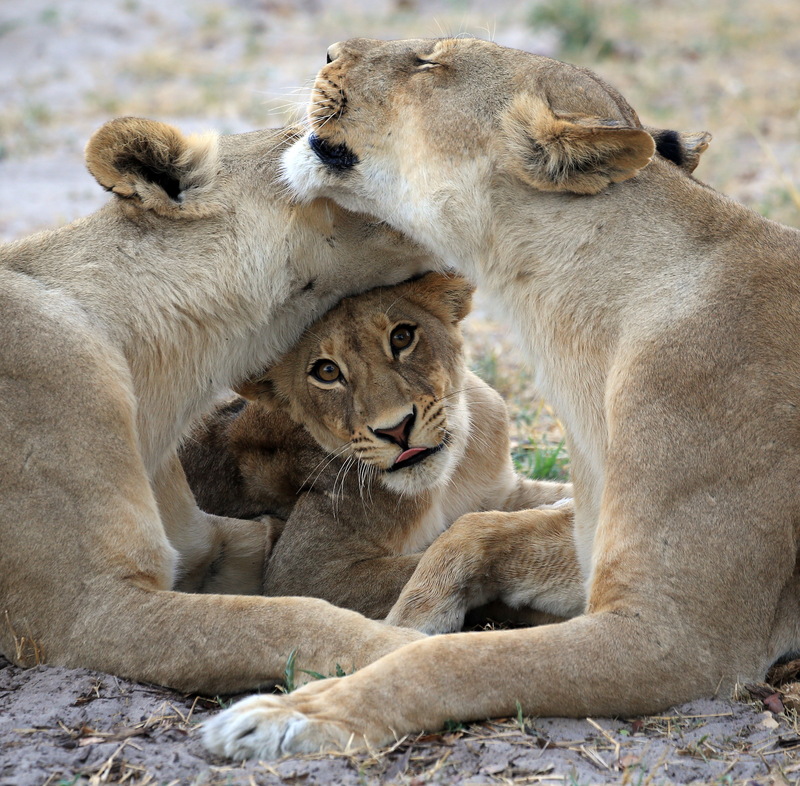 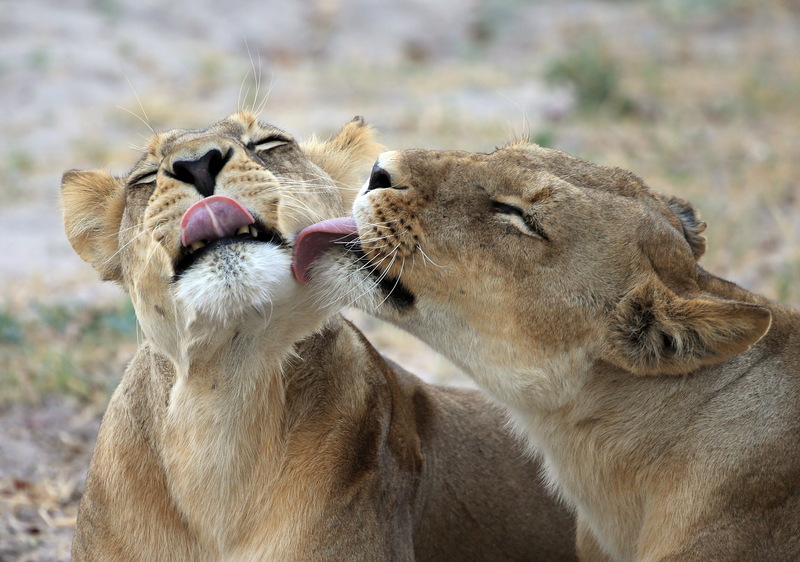 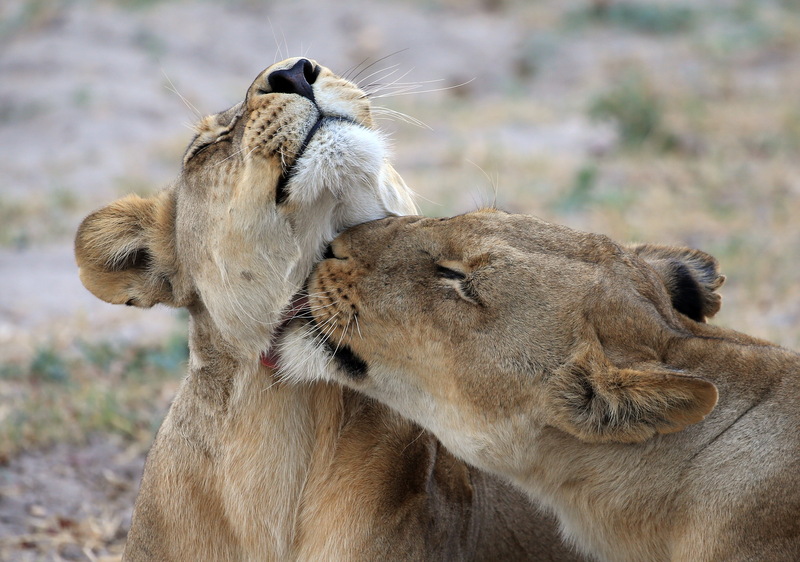 These animals regularly cross borders between Angola, Botswana, Namibia, Zambia and Zimbabwe, moving within an area of 440,000 square kilometres called the Kavango-Zambezi Transfrontier Conservation Area (KAZA TFCA). 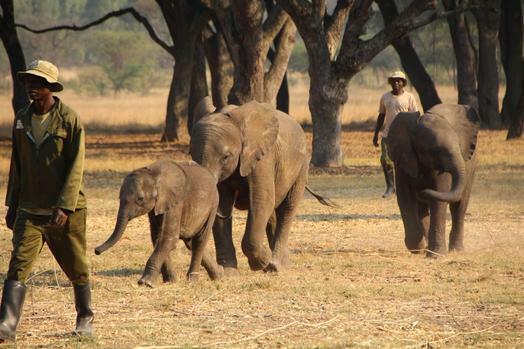 A carrying capacity of around 0.4 elephants per km squared is widely used. 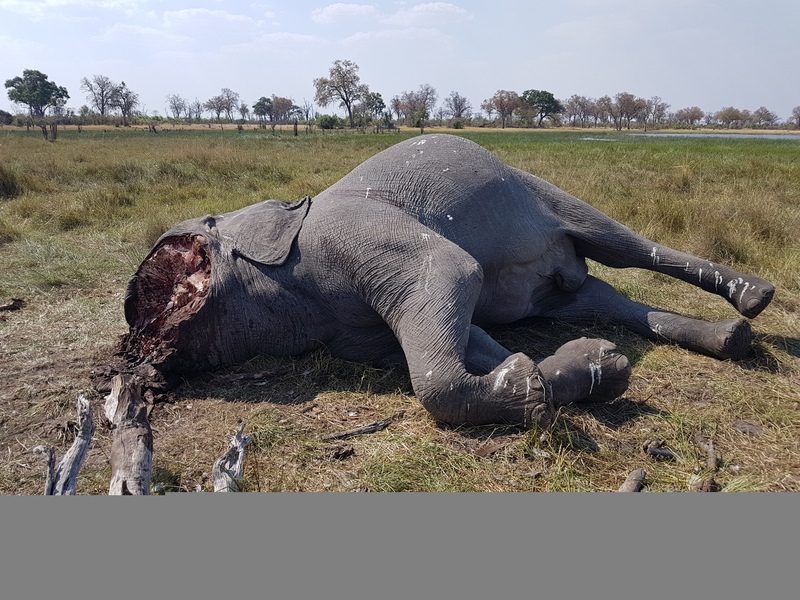 Botswana with a range area of up to 260,000 km squared in wet season and its current 130,000 elephants therefore falls more or less within this “acceptable” range. 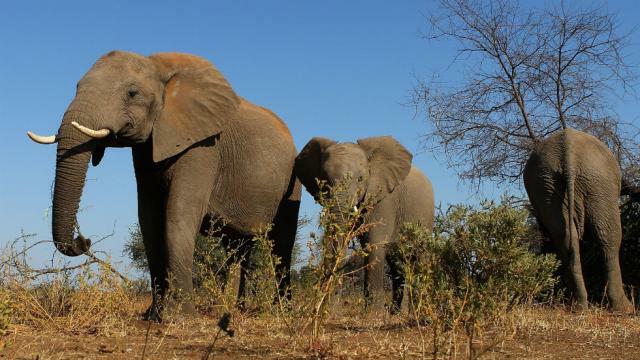 This much quoted carrying capacity of 0.4 elephants per square km comes from an outdated “Hwange Game Reserve management policy that had no scientific basis”, says Ian McDonald (lecturer in wildlife management). 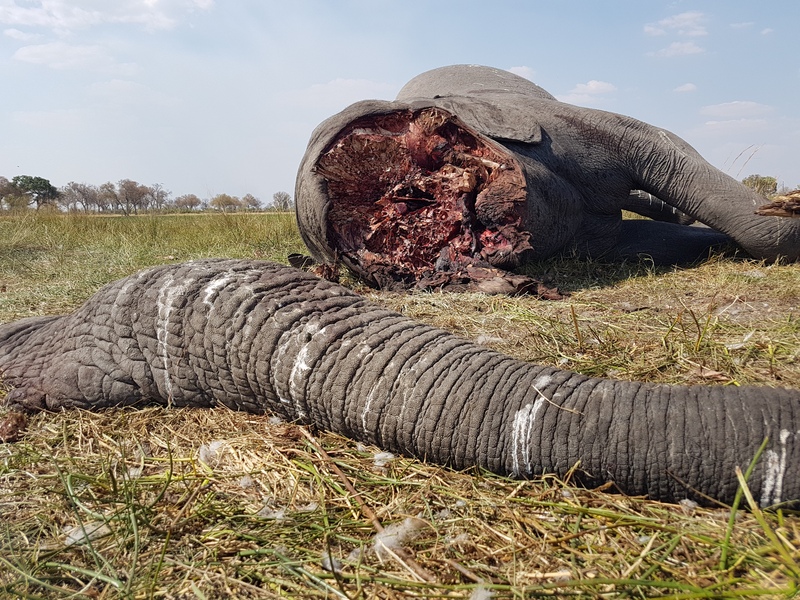 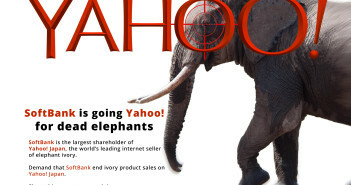 Lindsay adds, “trophy hunting cannot or should not have much effect on local elephant densities, otherwise the trophy-sized animals will not be there for the hunters to shoot. 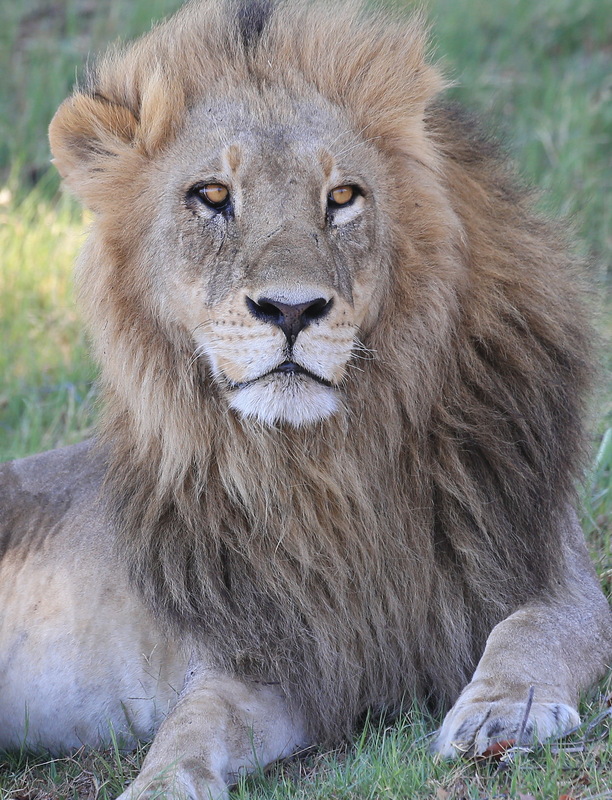 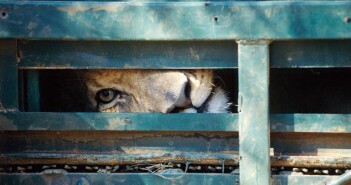 So, it [trophy hunting]does not have any direct effect on reducing HEC”.